PLANET latest Metro series Ethernet switch MGSD-10080F is equipped with advanced management functions and provides 8 100/1000Mbps dual speed SFP Fiber ports, and 2 10/100/1000Mbps TP ports delivered in a rugged strong case. It is capable of providing non-blocking switch fabric and wire-speed throughput as high as 20Gbps in the temperature range from -10 to 60 degrees C without any packet loss and CRC error, which greatly simplify the tasks of upgrading the enterprise LAN for catering to increasing bandwidth demands. The MGSD-10080F is specially designed for service provider to deliver profitable long distance Ethernet network. The MGSD-10080F adopts “Front Access” design, making the wiring and maintenance of the MGSD-10080F placed in a cabinet very easy for technicians. The 8 mini-GBIC slots built in the MGSD-10080F support dual-speed, 100Base-FX and 1000Base-SX/LX SFP(Small Form-factor Pluggable) fiber-optic modules, meaning the administrator now can flexibly choose the suitable SFP transceiver according to the transmission distance or the transmission speed required to extend the network efficiently. The MGSD-10080F supports SFP-DDM (Digital Diagnostic Monitor) function that can easily monitor real-time parameters of the SFP for network administrator, such as optical output power, optical input power, temperature, laser bias current, and transceiver supply voltage. To enhance the operation reliability and flexibility, the MGSD-10080F is equipped with one 100 ~ 240V AC power supply unit and two additional 36 ~ 72V DC power input connectors for redundant power supply installation. The Redundant Power Systems are specifically designed to handle the demands of high tech facilities requiring the highest power integrity. Furthermore, with the 36~ 72V DC power supply implemented, the MGSD-10080F can be applied as the telecom level device that could be located in the electronic room. The MGSD-10080F supports Digital Input, and Digital Output on the front panel. The external alarm offers technicians the ability to use Digital Input to detect, and log external device status (such as door intrusion detector) for the alarm as Digital Output could be used to alarm if the MGSD-10080F has port link down, link up or power failure. To fulfill the demand for ISP to build the IPv6 (Internet Protocol version 6) network infrastructure speedily, the MGSD-10080F supports both IPv4 and IPv6 management functions. It can work with original IPv4 network structure and also support the new IPv6 network structure. With easy and friendly management interfaces and plenty of management functions included, the MGSD-10080F Metro Ethernet Switch is the best choice for ISP and service providers to build the IPv6 FTTx edge service and for Industries to connect with IPv6 network. The MGSD-10080F Managed Ethernet Switch is also ideal for applications in the factory data centers and distributions. 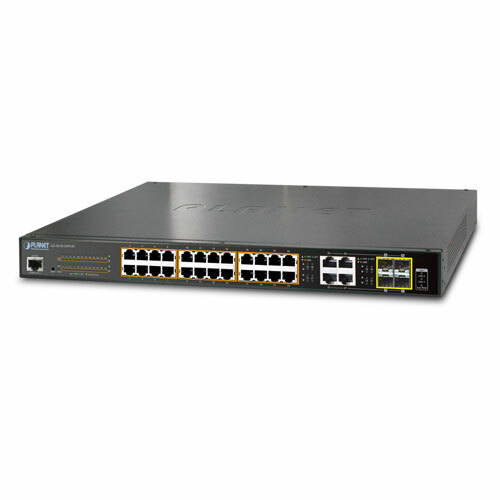 It provides advanced Layer 2 to Layer 4 data switching and redundancy, Quality of Service traffic control, network access control and authentication, and secure management features to protect customer’s Automation Ethernet network connectivity with reliable switching recovery capability that is suitable for implementing fault tolerant and mesh network architectures. The MGSD-10080F offers comprehensive Access Control List (ACL) for enforcing security to the edge. Its protection mechanisms also comprise port-based 802.1x and MAC-based user and device authentication. The port-security is effective in limiting the numbers of clients passing through, so that network administrators can now construct highly secured corporate networks with time and effort considerably less than before. By means of improving the technology of Optical Fiber Ethernet with high-flexible, high-extendable and easy-installation features, the MGSD-10080F offers the data exchange speed of Optical Fiber up to 1Gbps, and the distance of Gigabit Optical Fiber up to 120km. It supports service providers, such as ISP and Telecom, to install Metropolitan Area Network (MAN) based on Fiber technology to the WAN Internet Service. 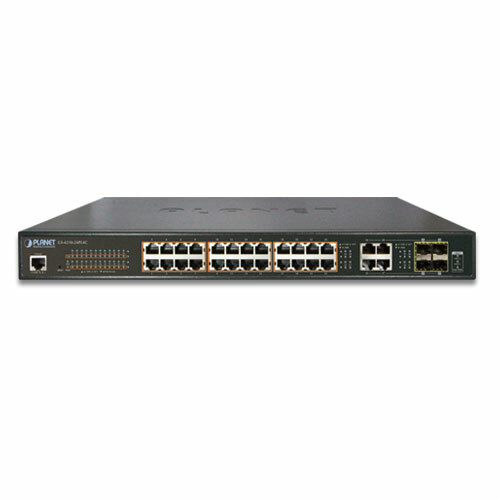 With 10 Gigabit ports, the MGSD-10080F is able to connect up to 10 edge switches in the Ethernet environment. 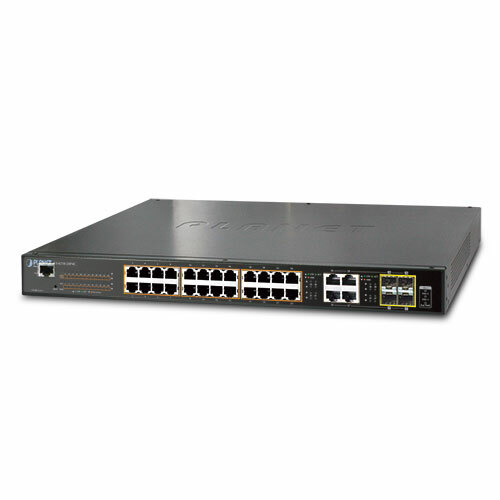 Moreover, the MGSD-10080F provides 20 Gigabit per second switch fabric and high bandwidth for backbone connection. 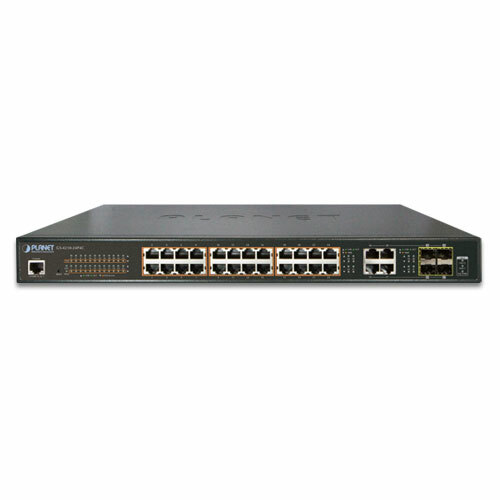 The MGSD-10080F is an excellent choice of core layer switch for a Gigabit network.